Changing how you work can have a substantial impact not only on your job success but also on your quality of life. So what’s your new year resolution? Exercise more, lose weight, cut down on alcohol….? How about working differently in 2019? If you work between 40 and 60 hours per week, and sleep about 7 hours per night, you’re basically spending one-third to half of your waking adult life working. Changing how you work, even just a tad, can have a substantial impact not only on your job success but also on your quality of life. And you don’t have to change 100 things to make a difference; only a few—or even one thing—will do. In my study of 5,000 managers and employees as reported in my book “Great at Work,” I found that only seven factors explained the majority of performance differences among the people in the study. Better still, several of the factors also improved quality of life. One, in particular, stood out, a principle I call “do less, then obsess.” People who mastered this performed 25 percentage points better than those who didn’t—that’s the difference between great and just good. How can you apply this to a new year resolution for 2019? Before I outline that, let’s just revisit what this principle DOES NOT mean: to work harder, as in more hours. For overachievers, it’s easy to start the new year by saying, “this year I am going to work even more hours to succeed.” That strategy is flawed (unless you’re a slacker, in which case, it pays to increase the hours you work). In my study, we found that working ever more hours was like squeezing an orange: in the beginning, as you begin to squeeze the orange, lots of juice comes out. Likewise, as you amp up the hours from a paltry 30 to 40 hours per week on average say, job performance goes up quite a bit. But as you continue to squeeze that orange, less and less juice comes out. And so it is with work: as you keep piling on hours, say from 40 to 50 to 60, your performance only improves a tiny bit. And beyond 65 hours per week, we found, job performance overall declines. Pursue the extreme few. The first part of the “do less, then obsess” principle is about ruthless prioritization. You can only become great if you choose to focus on very, very few things at work. You cannot do it all. You must choose. 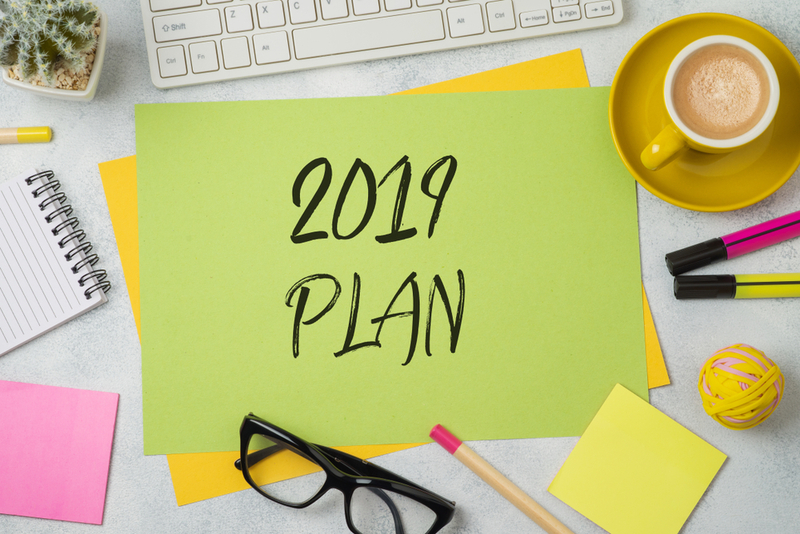 Here’s one way to do it for 2019: what is the most important thing you must achieve at work in January 2019? Write that down on a piece of paper and stick it on a wall where you can see it every day. When February 1 comes around, write down the most important thing you must achieve in February. And so on. By dividing 2019 into 12 middle distance runs (sort of between a sprint and a marathon), you can make progress throughout the year. Cut wasteful meeting time, and then obsess. The second part of the principle is to go all in on the few priorities and do them exceptionally well. But you can’t do that if your daily life is filled with all sorts of busywork. You must free up time. We found in our study that many people waste time in too many (ineffective) meetings. If we rid ourselves of some of that wasted time, we can better spend time on what really matters. Try to implement this rule: cut meetings in half. Cut the number of meetings in January in half; slash the duration of meetings in half (say from one to half an hour, or from 30 to 15 minutes); and reduce the number of people in meetings by half. That will free up time! Then use that time to go all in on the few priorities that matter: pay fanatic attention to details; double check your work; prepare presentations and meetings twice as hard; spend extra time with customers; and so on. Spend your time dividend in 2019. In our study, we found that people who mastered “do less, then obsess” also had a better work-life balance. They scored much lower on the statement, “the demands of my work interfere with my family and personal time.” But, you can only realize this work-life benefit if you spend your time dividend wisely. By doing less and obsessing, you focus your efforts on a few tasks — and thus save time. You can reinvest that saved time in work (like a business reinvesting its profits into the business) or you can spend some of that saved time on outside personal and family time (like a business paying a dividend to shareholders). Split that saved time: Obsessing to excel requires you to reinvest some of that saved time into work, yet some of it you can spend outside of work. Practically, it means, “I cut out two hours of wasteful meetings every Monday; one hour I spend going over those customer reports one more time (obsessing) and the other hour I spend going home earlier to see my kids.” You do better work, and you have a happier life. If we work correctly, we can achieve so much. Let 2019 be the year when we slash all that busy work that doesn’t produce much and go all in on the work that matters the most.